For the American Jesuit priest, see Jack Morris (Jesuit). For the American football player, see Jack Morris (American football). For the English footballer, see Jack Morris (footballer). John Scott "Jack" Morris (born May 16, 1955) is an American former professional baseball starting pitcher, and played between 1977 and 1994, mainly for the Detroit Tigers of Major League Baseball (MLB), winning 254 games throughout his career. Armed with a fastball, a slider, and a forkball, Morris was a five-time All-Star (1981, 1984, 1985, 1987, and 1991), and played on four World Series Championship teams (1984 Tigers, 1991 Minnesota Twins, and 1992–1993 Toronto Blue Jays). While he gave up the most hits, most earned runs, and most home runs of any pitcher in the 1980s, he also started the most games, pitched the most innings, and had the most wins of any pitcher in that decade. Since retiring as a player, Morris has worked as a broadcast color analyst for the Blue Jays, Twins, and Tigers. He has also been an analyst for MLB broadcasts on Fox Sports One. Morris attended Brigham Young University and was drafted by the Tigers in the fifth round of the 1976 draft. He was first called up to the Detroit Tigers in 1977 after Mark Fidrych was placed on the disabled list with an injury. Morris broke into the Tigers' pitching rotation in 1979, posting a 17–7 record and a 3.29 ERA and establishing himself as the ace of the Detroit staff. Morris, along with catcher Lance Parrish, shortstop Alan Trammell, second baseman Lou Whitaker, outfielder Kirk Gibson, and manager Sparky Anderson, played a notable role in turning the Tigers into a contending team for most of the 1980s. In 1980, Morris learned to throw the split-finger fastball from newly hired pitching coach Roger Craig, and it became an effective pitch for the rest of Morris' career. Despite playing for the notorious "Captain Hook" (Anderson), so named because of his tendency to pull his starters at the first sign of weakness, Morris was known for finishing what he started. He racked up 175 complete games in his career (154 with Detroit). In 10 of his 12 full seasons as a Tiger, he compiled double-digit complete game totals. In 1983 alone, Jack completed 20 of his 37 starts. That year, he led the league in innings pitched (293.2), batters faced (1204) and strikeouts (232), while posting his first 20-win season. On April 7, 1984 (on NBC's nationally televised Game of the Week), Morris no-hit the Chicago White Sox at Comiskey Park, beginning what would be an excellent season for both him and the Tigers. The no-hitter was the first by a Tiger since Jim Bunning in 1958. By the end of the 1984 campaign, he had notched 19 wins and a 3.60 ERA, leading Detroit into the postseason. He scored a win over the Kansas City Royals in the ALCS, and added two more complete-game victories in the World Series against the San Diego Padres as the Tigers concluded their wire-to-wire 1984 campaign with the World Championship. While teammate Alan Trammell was named the World Series MVP, Jack was given the Babe Ruth Award for most outstanding performance in the 1984 postseason. In 1986, Morris racked up 21 wins, and had a stretch from July 9–18 in which he threw three consecutive complete game shutouts. But he was overshadowed that year by eventual Cy Young Award winner Roger Clemens of the Boston Red Sox, who went 24–4. The Tigers headed to the postseason again in 1987 behind a team-leading 18 wins from Morris, but this time Jack's postseason performance was below expectations as Detroit lost the ALCS to the eventual World Champion Minnesota Twins. Despite a sub par season in 1989 when he made only 24 starts and won just 6 games, he still finished the 1980s with 162 wins, the most by a major league pitcher during the decade. In 1990, his final season in Detroit, Morris lost a career high 18 games, though he also led the Tiger staff with 15 wins. Morris had a 3–1 post-season record as a Tiger, with a 2.73 ERA. When playing for the Tigers, Morris was approached for a locker room interview by Jennifer Frey. At the time, Frey was an intern with the Miami Herald; she would later work as a reporter for The New York Times and The Washington Post. Morris responded to Frey that, "I don’t talk to women when I’m naked unless they’re on top of me or I’m on top of them". When the Herald complained about his actions, Bo Schembechler, who was the president of the Tigers at the time, said that the newspaper had a "lack of common sense" for assigning a woman to the interview. In 1991, Morris signed a one-year contract with his hometown Minnesota Twins. He enjoyed another great season, posting 18 wins with a 3.43 ERA, and an even better postseason after Minnesota won the AL West. Morris won both of his starts over the Toronto Blue Jays in the ALCS, and his team went on to face the Atlanta Braves in the World Series. Jack started for the Twins three times in the series, going 2-0 with a 1.17 ERA, making his final outing in the deciding Game 7. In a postseason performance for the ages, the 36-year-old hurler threw 10 innings of shutout baseball against the Braves, as the Twins won the World title on a 10th-inning single by Gene Larkin that scored Dan Gladden. Morris was named the World Series MVP for his fantastic performance, and joined fellow pitcher Sandy Koufax as the only players to win the Babe Ruth Award twice. He holds the record for most wins by a Twin in a single postseason, with four acquired in 1991. Following the 1991 season, Morris signed with the Toronto Blue Jays. He earned 21 wins for the second time in his career (achieving the first ever 20-win season for a Blue Jays pitcher), though he rode the wave of superior run support from his offense, given his 4.04 ERA that year. The Blue Jays reached the 1992 World Series against the Braves. Despite a subpar post-season performance (he went 0-3, including 2 World Series losses), Morris won a third World Series ring as Toronto beat Atlanta in six games. He won a fourth ring in 1993, as the Blue Jays repeated as World Champions with a victory over the Philadelphia Phillies in six games. However, Morris was not an important factor in the Blue Jays World Series repeat: he pitched poorly for the team in the regular season, finishing 7-12 with a 6.19 ERA, and was not used at all in the postseason due to a season-ending injury. On Tuesday, April 6, 1993, Morris set a major league record by making his 14th consecutive opening day start, an impressive achievement since he played on numerous title-contending teams. The opening day start is usually given to either the best pitcher in the rotation or the pitcher with the highest level of respect among the players and coaches. He joined the Cleveland Indians in 1994, but was released by the team on August 9, three days before the season was ended by a strike. Morris finished the season with a 10-6 record, but an ERA of 5.60. After an abortive attempt at a comeback with the Cincinnati Reds during spring training of 1995, Morris retired. In 1996, however, he made a brief return to professional baseball, this time playing with the St. Paul Saints of the independent Northern League. The 41-year-old Morris went 5-1 in 10 starts, with a 2.69 ERA, before retiring for good. Morris was the highest-paid pitcher in the American League on at least 4 occasions: 1987, 1988, 1991, and 1993. Although it likely helped his strikeout totals, the split-finger pitch was also responsible for Morris leading the league in wild pitches on six separate occasions. His 206 wild pitches in his career rank eighth in baseball history. Ranks No. 1 in Detroit Tigers history for wild pitches (155) and balks (23). Holds Tigers' all-time record for most times leading the team in wins – 11 (1979–88, 1990). 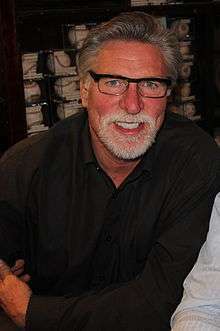 Jack Morris is the only pitcher with 2,000-plus strikeouts who did not face a single pitcher in his career. Morris has spent time as a color analyst for the Minnesota Twins. He also spent time in Lakeland, Florida as a part-time coach for the Detroit Tigers during spring training. In 2013, Morris joined Sportsnet as a color analyst for Toronto Blue Jays radio broadcasts, as well as making appearances on television broadcasts. In 2014, served as a pre- and post-game analyst for Twins telecasts on Fox Sports North (as well as a part-time substitute for regular game analyst Bert Blyleven) and as a regular on-air contributor on KTWN-FM and the Twins Radio Network. On February 10, 2015, it was announced that Morris was hired as a part-time analyst for Detroit Tigers telecasts on Fox Sports Detroit, along with former teammate Kirk Gibson. In a unique arrangement, Morris continued to work part-time for the Twins' television crew as well as the Tigers'. Morris is known for his love of hunting and fishing, especially in his native Minnesota. Morris has been eligible for the National Baseball Hall of Fame since 2000. From 2000 to 2003, he never received greater than 30% of the vote. He received 40% of the vote for the first time in 2006. In 2010, he received 52.3% of the vote. In 2012, he received 67% of the vote, and in 2013 he received 67.7% of the vote. On January 8, 2014, Morris only received 61.5% of the vote in his last year of eligibility, and can now be considered for the Veterans Committee Expansion in 2017. ↑ James, Bill; Neyer, Rob (2004-06-15). The Neyer/James Guide to Pitchers: An Historical Compendium of Pitching, Pitchers, and Pitches. Simon and Schuster. p. 314. ISBN 9780743261586. Retrieved 21 August 2012. ↑ Sexton, Joe (18 October 1992). "WORLD SERIES; For Blue Jays' Morris, It Was Feast or Famine With His Forkball". The New York Times. p. 2. Retrieved 21 August 2012. ↑ Barzilai, Peter (January 3, 2011). "Study Hall: Jack Morris' case is stuck in the 1980s". USA Today. ↑ "Is collusion to blame for Jack Morris' HOF case?". Hardballtimes.com. Retrieved 2013-03-08. ↑ McCarver, Tim; Jim Moskovitz; Danny Peary (2008). Tim McCarver's Diamond Gems: Favorite Baseball Stories from the Legends of the Game. McGraw-Hill Professional. p. 193. ISBN 978-0-07-154594-5. Retrieved 2009-05-06. ↑ Stone, Mike; Art Regner (2008). The Great Book of Detroit Sports Lists. Running Press. p. 14. ISBN 978-0-7624-3354-4. Retrieved 2009-05-06. ↑ "Sparky Anderson bio at The Baseball Library". Baseballlibrary.com. Retrieved 2011-10-05. ↑ "Retrosheet Boxscore: Detroit Tigers 4, Chicago White Sox 0". Retrosheet.org. 1984-04-07. Retrieved 2013-03-08. ↑ Beck, Jason (July 1, 2014). "Porcello extends scoreless streak with shutout of A's". MLB.com. Retrieved July 1, 2014. ↑ Caple, Jim (October 16, 1994). "Jack Morris Adjusting To Life On Farm – His Farm". The Seattle Times. ↑ "Career Leaders &amp Records for Wild Pitches". Baseball-Reference.com. Retrieved 2013-03-08. ↑ "Tigers All-Time Leaders | tigers.com: History". Detroit.tigers.mlb.com. 2012-06-19. Retrieved 2013-03-08. ↑ Posnanski, Joe (2012-12-28). "Joe Blogs: Pitcher v. Pitcher". Joeposnanski.blogspot.com. Retrieved 2013-03-08. ↑ Sportsnet Staff (February 5, 2013). "Morris joins Sportsnet's Blue Jays coverage". Sportsnet. Retrieved July 9, 2013. ↑ Miller, Phil (January 25, 2014). "Jack Morris added to Twins radio and TV teams". Star Tribune. Retrieved January 27, 2014. ↑ Nowak, Joey (February 10, 2015). "Gibson, Morris aboard as Tigers analysts". MLB. Retrieved February 10, 2015. ↑ Berardino, Mike (February 10, 2015). "Twinsights: Jack Morris 'on loan' to Detroit Tigers in broadcast booth". blogs.twincities.com. ↑ ASSOCIATED PRESS: Andre Dawson makes Hall of Fame; Barry Larkin, Jack Morris, Alan Trammell denied, AnnArbor.com, January 6, 2010. ↑ "Former Cincinnati Reds shortstop Barry Larkin elected to baseball Hall of Fame." Article at washingtonpost.com on January 9, 2012. ↑ Morris, Raines among Hall of Fame candidates who deserved better Heyman, Jon at cbssports.com on 8 January 2014. ↑ Langer, Emily (2016-03-28). "Jennifer Frey, former writer for The Post's Sports and Style pages, dies at 47". The Washington Post. ISSN 0190-8286. Retrieved 2016-04-01.